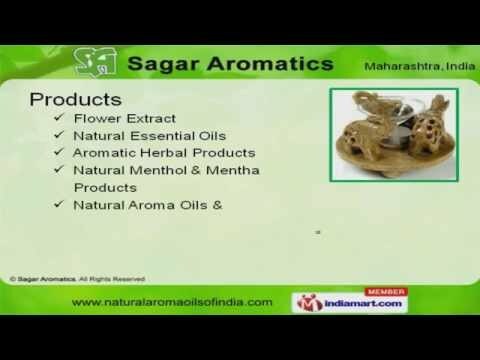 Welcome to Sagar Aromatics. Manufacturer and Exporter of Perfumery, Ayurvedic, Cosmetic and Personal Care Product. The company was established in 2000 in Mumbai. We are a Member of FFAI and EOI and we cater toAyurvedic, Cosmetics and Personal care. International quality standards, Purity and effectiveness are some of the key features of our organization. Our product list covers Flower Extracts, Natural Essential Oils and Therapy Products. Flower Extracts offered by us are well known for their purity. We are instrumental in offering a wide array of Natural Essential Oils that are cost effective. Olive Oil, Aroma Chemicals, Flower Extracts and Mentha Products are some of our aromatic herbalproducts. We are one of the trusted names of the industry engaged in offering genuine quality Natural Menthol andMentha Products. Natural Aroma Oils and Therapy Products are widely demanded in the market.